If you’ve got your eye on a new car or boat, and want to earn points or miles from your purchase, a high limit credit card might be just what you need. Even if you have fair credit or bad credit, and want a little more cushion room to finance day-to-day spending, a credit card with a high limit provides peace of mind that you have reserves available on demand. The last thing you want is to arrive at the grocery store cashier line only to discover your card has been declined because you hit the spending cap. The good news is a long list of credit cards with high limits are available. But which ones have the best annual fees, rewards rates, and sign-up bonuses? Rather than trudge through the weeds trying to figure out which credit card is best, we’ve done the hard work for you. Which High Credit Limit Card Is Best For Students? The Chase Sapphire Reserve℠ credit card might well be the best credit card on the market, period! Earn 3 points for every dollar spent on hotels, airlines, and restaurants. When you redeem points through the Chase Ultimate Rewards® portal, your points are worth 50% more. Receive complimentary Priority Pass Select membership and gain entry to 1,000 airport lounges around the world. When you are approved for the Chase Sapphire ReserveSM card, you receive a credit towards a global entry card. Travel purchases charged to your card are reimbursed up to a value of $300 each year. While Chase applies a $450 annual fee each year, the net cost is $150 when you factor in the $300 travel credit. But the perks don’t stop there. Based on our research, the credit limit for the Chase Sapphire Reserve℠ card is $100,000. Depending on your income, credit score, net worth, assets, and other factors considered by Chase, you could theoretically be approved for a credit limit as high as $500,000. For such high credit limits, you will almost certainly need to earn a $100,000+ salary. If you travel often and want a high credit limit, the Capital One® Venture® Rewards credit card is a top choice. 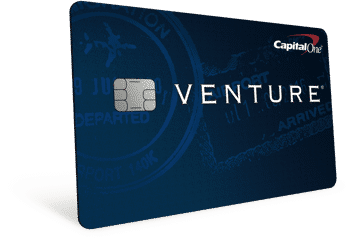 You will need excellent credit to be approved for the Venture® Rewards card by Capital One®. 50,000 miles when you spend $3,000 on purchases with the card in the first 3 months. Earn unlimited 2X miles for every dollar spent on everyday purchases. When you use your card to book at hotels.com you will earn 10X miles. The usual $95 annual fee is waived in year one. Outside of the United States, you won’t pay any pesky foreign transaction fees. If you spent $3,000 per month on average on everyday purchases using the Capital One® Venture® Rewards credit card, you would earn 72,000 air miles in 12 months. Here’s a breakdown of the air miles you could earn based on annual spending. Over and above these perks, the credit limit on the card is generous too. It is common to start out with a $5,000 → $10,000 credit limit but some cardholders claim to receive as much as a $50,000 credit line. If you are looking to transfer your credit card balance to another card and maintain a high credit limit, the Discover-It® 18 Month Balance Transfer card may be just what you have been looking for. 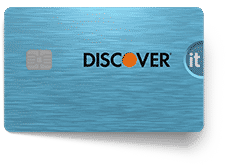 Unlike many other 0% balance transfer cards, you pay no annual fee with the Discover-It® 18-month balance transfer card. For the first six months, you pay 0% APR on new purchases. The bad news is you will be required to pay a 3% fee on balances transferred to the card. But the silver lining is that, according to our research, a credit limit as high as $20,000 could be obtained. While luxury cards charge annual fees stretching to hundreds of dollars, it is possible to side-step an annual charge altogether and still enjoy a high credit limit. 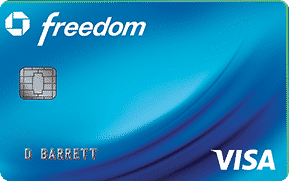 The Chase Freedom® credit card won’t sting you with a yearly charge but the benefits don’t stop there. 5% cash back rewards on bonus categories (up to $1,500 per quarter). 0% introductory APR for 15 months. Outside of rotating categories, cardholders earn 1% cash back. It’s not all sunshine with the Chase Freedom® card because you will need to pay attention to rotating categories to make the most of the cash back rewards, and when you travel overseas foreign transaction fees will apply. Nevertheless, if you are looking for a credit card with no annual fee and a high credit limit, this card is hard to beat because the credit limit starts at $3,000 for many users but can stretch as high as $24,000 from our research. 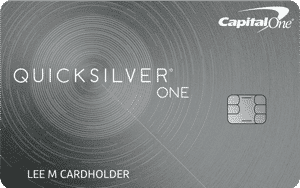 If you have a fair credit rating, the Capital One® Quicksilver One® Cash Rewards card comes top of our list. Every day purchases earn 1.5% cash back rewards. After 5 consecutive months of on-time payments, you will be eligible to receive a higher credit line. A perk of the card is free access to the CreditWise® app, which enables you to monitor your credit. For the life of the card, no restriction limits apply to the cash back you can earn. When you travel overseas outside the United States, you will pay no foreign transaction fees. The Capital One® Quicksilver One® Cash Rewards card does come with an annual fee of $39 and a high APR rate, so it is important to make your payments on time. The flipside is you get to enjoy a high credit limit of $5,000 based on our research. If you are college bound or already in college, Discover-It® for Students has much to offer. Earn 5% on rotating categories like restaurants, grocery stores, and gas stations. At the end of the first year, receive a dollar-for-dollar match of all cash back earned. Keep your GPA above 3.0 and receive a $20 credit each school year. You won’t be hit with a yearly fee nor any late fees on first payments. In addition to pluses like no changes to your APR rate when paying late, the Discover-It® card has a generous limit of $5,000. If you have bad credit, it’s tough sledding to find a good credit card with a high limit. A lot of credit cards designed for cardholders with bad credit require a credit check, which in turn can further penalize your credit score. 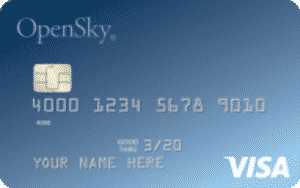 However, the OpenSky® Secured Visa® credit card is available with no credit check. Your credit line limit is based on the refundable deposit you pay upfront, and can be as low as $200. A perk of the card is that, if you currently have no credit score, you will most likely get one within 6 months. The vast majority of people who regularly use the OpenSky® Secured Visa® credit card gain a credit record with either Experian, Equifax, or TransUnion within 6 months. 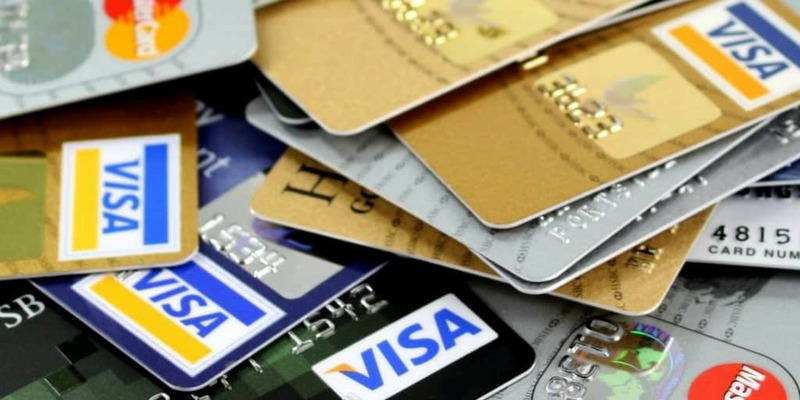 Have you found other credit cards with high limits? Share your thoughts with us and tell us more.